This coming week I will be attending the 16th World Conference on Lung Cancer in Denver’s Colorado Convention Center run by IASLC (the International Association for the Study of Lung Cancer). I’m looking forward to live tweeting some sessions (using #WCLC2015), hanging out with fellow patients and advocates, and connecting with many online friends–some I’ve not yet met in person. I’m also giving my first speech as a patient at a medical conference focused on lung cancer, and making some videos with nonprofits and media groups. This conference is groundbreaking for the “Patients Included” movement–I believe it’s the first time any professional oncology conference has intentionally included the patient voice by scheduling several patient speakers. Registration fees are waived for patients and advocates, the advocacy track has scheduled events each day, and lung cancer survivor Emily Bennett Taylor will be the keynote speaker at the Opening Ceremonies on Sunday September 6. WCLC is the world’s largest meeting dedicated to lung cancer and other thoracic malignancies. More than 7,000 delegates come from over 100 countries to discuss the latest developments in research. Attendees include clinicians surgeons, medical oncologists, radiation oncologists, pulmonologists, radiologists, pathologists, epidemiologists, basic research scientists, nurses, allied health professionals, advocates and patients. If you’ll be attending and would like to meet me during the conference, below are some events where you can find me. Amazingly, all of my days begin with activities at 7:30 AM or earlier. Come walk with Team #lcsm to raise funds for Bonnie J. Addario Lung Cancer Foundation and IASLC. Yes, IASLC included a patient in a press conference—awesome! Meet others who participate in the biweekly Lung Cancer Social Media Chat on Twitter. This is the best place to catch me if you want to meet and chat for a few minutes—I expect to attend 4:30-6:00 PM. Together with my co-chair, I will introduce the scheduled speakers. My speech “Supporting Lung Cancer Survivors – Living with and Beyond Lung Cancer” is scheduled for 15:20-15:35. Friend and fellow lung cancer patient CraiginPA will also present in this session. It’s going to be a great conference! Hope to see you there. 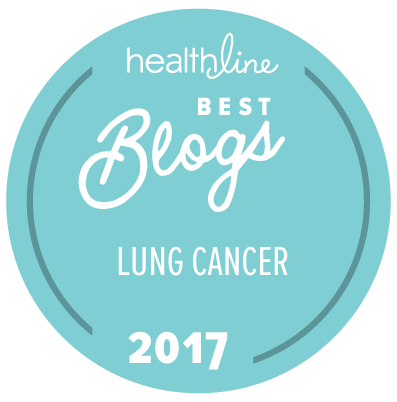 This entry was posted in #LCSM Chat, Advocacy, Lung Cancer, Patient Advocacy, Public Speaking, Research, Travel and tagged IASLC, press conference, WCLC. Bookmark the permalink. Unfortunately, I won’t be coming to Denver after all, so they’ll probably cancel my presentation expand another to include some comments on it. My father is currently experiencing heart failure (and maybe something else, too) so it is important that I stay with him all day, every day for a while. Sorry to those who were expecting me there. Craig, I’m so sorry to hear your father is not doing well. Caring for family certainly takes priority over conferences. Sending prayers for both you and your dad.